Accomplished and energetic underwriter with a solid history of achievement in the insurance industry. Motivated leader with strong organizational and prioritization abilities. Areas of expertise include policy analysis, account tracking and assignment, intake of funds and management of financial resources. 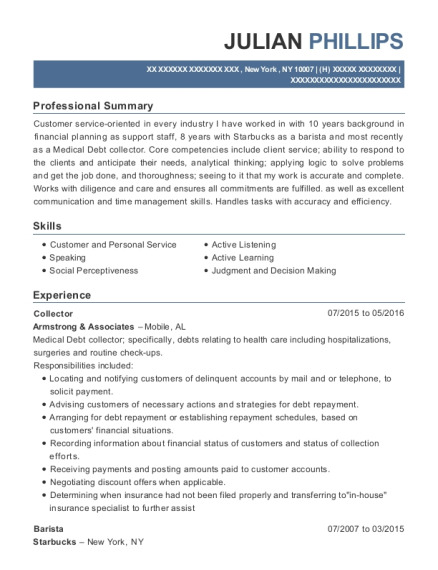 Receives and evaluates new customer applications with account assignment responsibilities to qualified agents. Collect and deposit money into accounts, disburse funds from cash accounts to pay bills or invoices, keep records of collections and disbursements and ensure accounts are balanced. Training of new staff members. Customer service and daily food service operations. 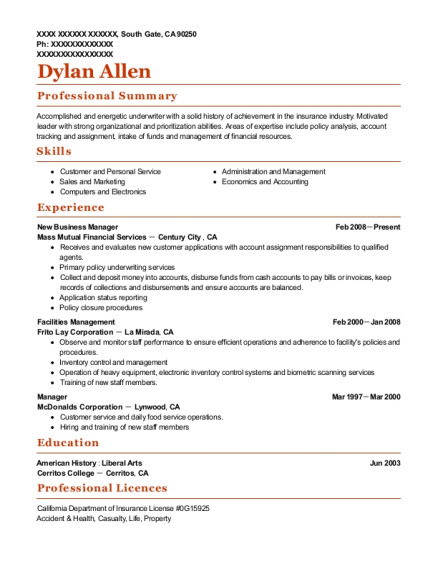 This is a resume for a New Business Manager in South Gate, California with experience working for such companies as Mass Mutual Financial Services and Frito Lay Corporation. 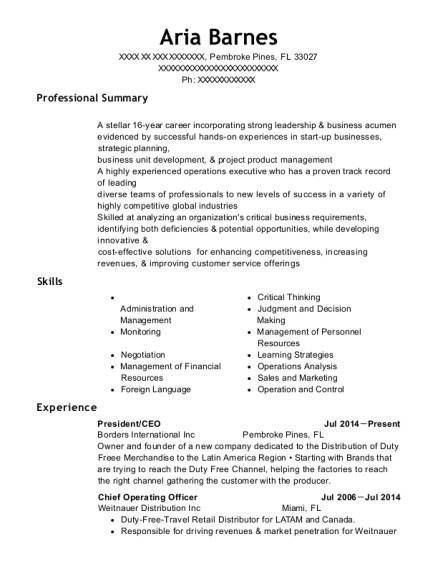 The grade for this resume is 0 and is one of hundreds of New Business Manager resumes available on our site for free. 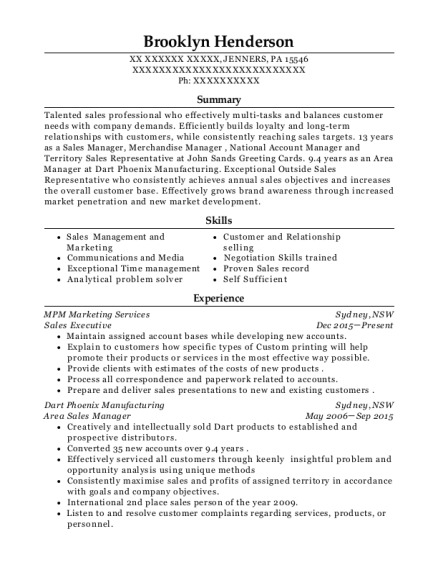 Use these resumes as templates to get help creating the best New Business Manager resume.